Peter Diamond, ex-CID and notoriously difficult to work with, is sacked from his latest job as a security guard in Harrods. Doggedly he turns his sleuthing skills to unravelling the mystery of a little Japanese girl abandoned in London. Naomi, as she is known, exhibits the classic symptoms of the autistic child. Diamond regards her first as a challenge and soon as someone he cares passionately about. 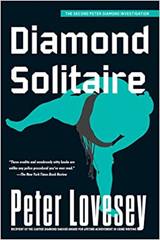 Encouraged by a famous sumo wrestler, he devotes himself to achieving communication with the child and is close to a breakthrough when Naomi is abducted to New York. 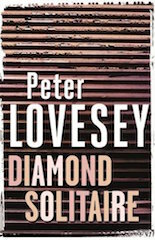 By interpreting clues in the form of drawings made by Naomi, Diamond goes in pursuit and is plunged into a maelstrom of murder and the mafia, suicide and smart drugs.